Click on a link below to expand an item of historical interest. The South African Grand Prix was first run as a Grand Prix motor racing handicap race in 1934 at the Prince George Circuit at East London, and drew many of the top drivers from Europe. 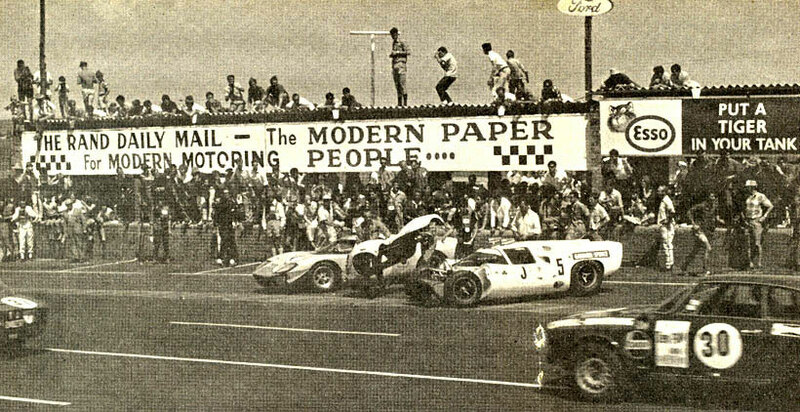 In 1967, the race was moved to Kyalami, where it would remain as long as the South African Grand Prix was on the official Formula One calendar. 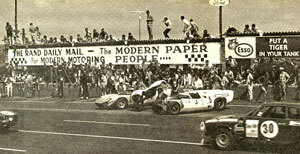 A total of 20 F1 Grands Prix were held between 1967 and the final event in 1993. The details below list the winners at Kyalami. Le Mans start. Mechanics hastily removed the battered nose section of the car. Still grinding his starter is Jacky Ickx in the JWA Gulf Mirage M1.